- 殘編 (Tanya Hsu) on 七月 11, 2016. All four menu items come with salad and fries, the 1.25 lbs. 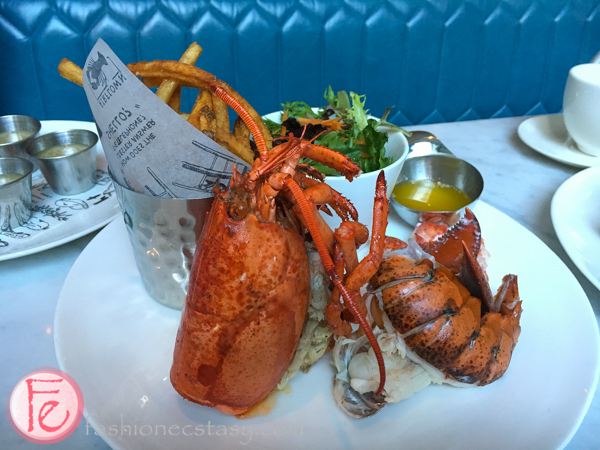 fresh lobster from Nova Scotia is pre-cut in half with cracked claw shells, letting the meat fall off easily. No messy hands required. 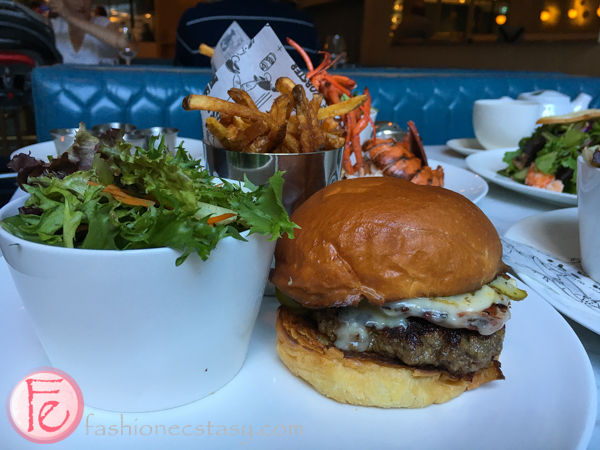 The burger is prepared with a 6-ounce beef patty that is seared crispy on the outside with juicy moist meat on the inside, accompanied by double-cut bacon strips with a five-year-old Ottawa cheddar that melts into and over all ingredients. Foodies are not getting less when they order a lobster salad. The salad comes with a 1.25 lbs lobster and a Dijon dressing prepared with a little bit of truffle oil. Daily specials: besides the four items on the menu, lbs. also creates daily specials using lobster as a key ingredient. Expect items like poutine using lobster bisque as gravy with aged cheddar. Seating 140, lbs. occupies over 3,700 square feet of the downtown’s premium location, Scotia Plaza. The dining area has an elegant atmosphere, without the intimidation. The restaurant is decorated with intricate brass, custom lighting, marble, glass and Group of Seven’s artwork. 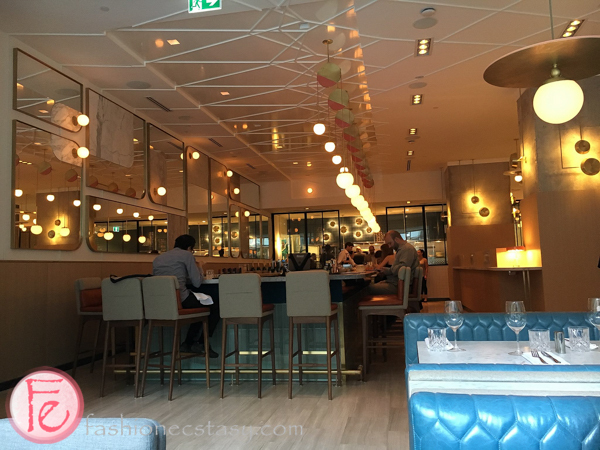 The state-of-the-art bar is one of the biggest in downtown Toronto and seats 32 guests comfortably. With a narrow width, the bar encourages guests to mix and mingle with each other when sitting on either side. Every seat provides a 360-degree view of the restaurant. Holly Caverly, who had previously worked for Toronto’s top restaurants land bars like Momofuku and Bar Isabel, creates premium cocktails with simple ingredients for lbs. Staying true to the restaurant’s concept, each cocktail contains no more than four ingredients. A selection of wine and beer is also available. Located behind the bar is lbs’s cutting edge kitchen with floor to ceiling glass walls, consumers are able to witness just exactly what they are consuming and how their food is being prepared. The kitchen boasts massive flat tops and a huge lobster tank that can support up to 2,000 lbs. of lobsters. Lbs provides an elegant yet relaxed environment. Suits and jeans are both welcomed. But we still suggest you to dress appropriately. Operating at the back of lbs is the restaurant’s garage door-style take-out window, which serves Sam James coffee in the morning and lobster rolls specially priced at $16 in the afternoon. lbs restaurant is located at 100 Yonge Street in Toronto and is open six days a week from Monday to Saturday, 11:30 AM to 10:30 PM. Take-out hours are from 8:00 AM to 5:00 PM.